From 10am until 12.30 pm our team will be taking over the doggy daycare area to chat to you all and match you to the right kitten for your home. Our adoption fee is $130 which covers the veterinary health check, desexing, microchip, first vaccine and flea and worm treatments. This is payable in cash or bank transfer. 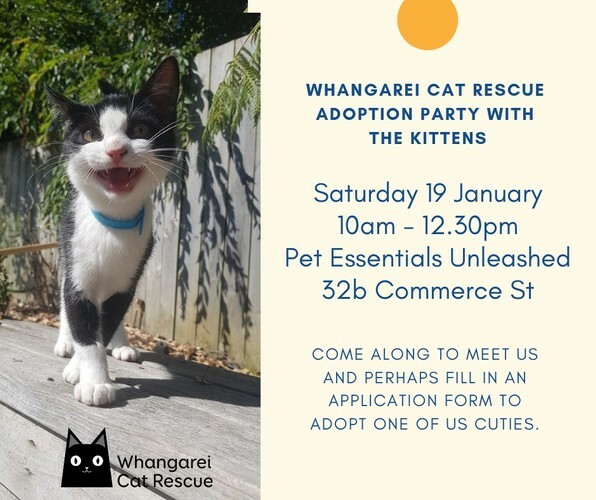 Please note this event is run by Whangarei Cat Rescue on borrowed premises thanks to the team of Pet Essentials.